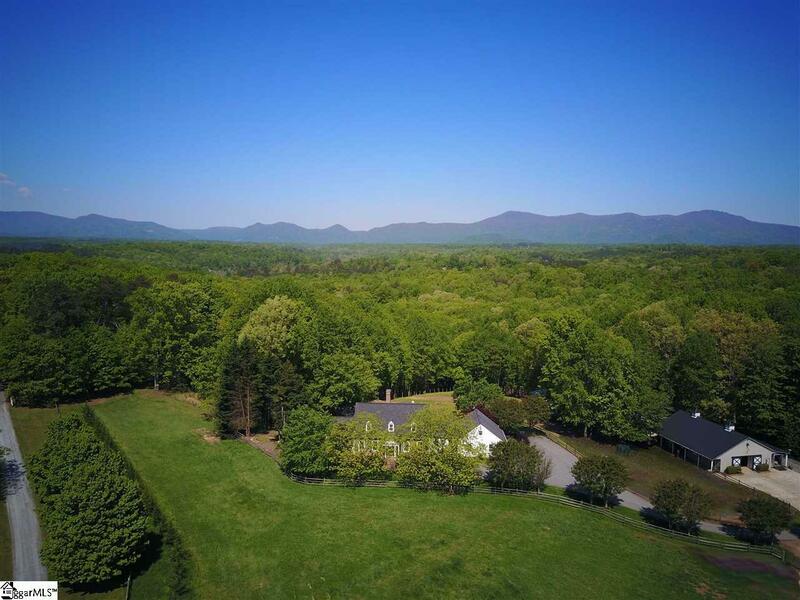 Think Idyllic Horse Farm - Hidden Hill Farm - This distinctive luxury equestrian property features a professionally remodeled residence that is open floor plan living at its best! The great room, dining, keeping room, kitchen, flow together for great entertaining and family spaces. Whether relaxing in front of the fireplace or taking in the mountain views, this will be your sanctuary. Attention to detail abounds solid bamboo floors, bead-board ceilings, walls of windows to bring the outside in. The upscale, spacious kitchen features custom cabinetry, stainless steel appliances, marble counters, subway tile, and built-in banquet seating. A grand master suite features a luxurious bath with travertine tile, jetted tub & steam shower, 3 custom walk-in closets, one with private access to the study/office. The upper level has two ensuite bedrooms, a sitting room with a fireplace, and laundry closet perfect for private guest quarters. Back-up generator ensures systems will run even in a power outage. 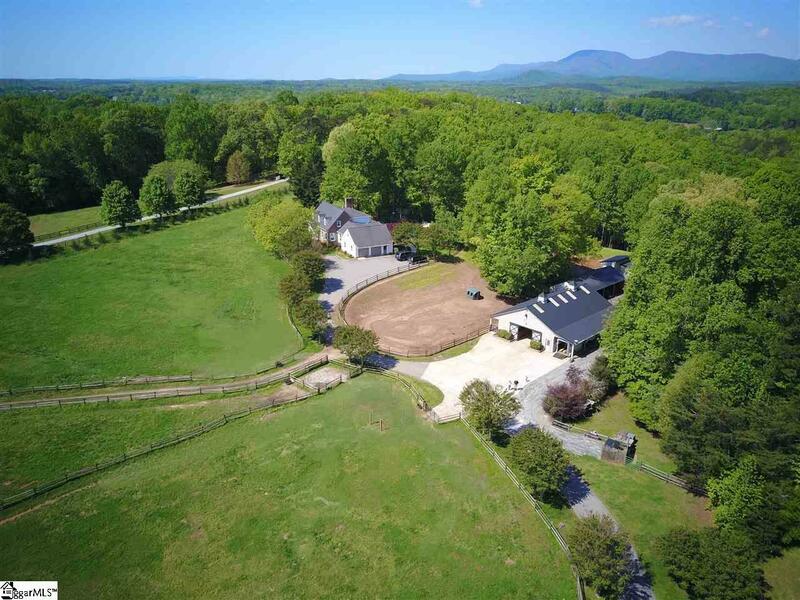 Equestrians will love the 7-stall custom Morton Barn with spacious tack room and wash stall, 2 large run-in sheds, 6 paddocks, arena, equipment storage building and more. Prime location minutes from shopping and only 10 minutes to TIEC. 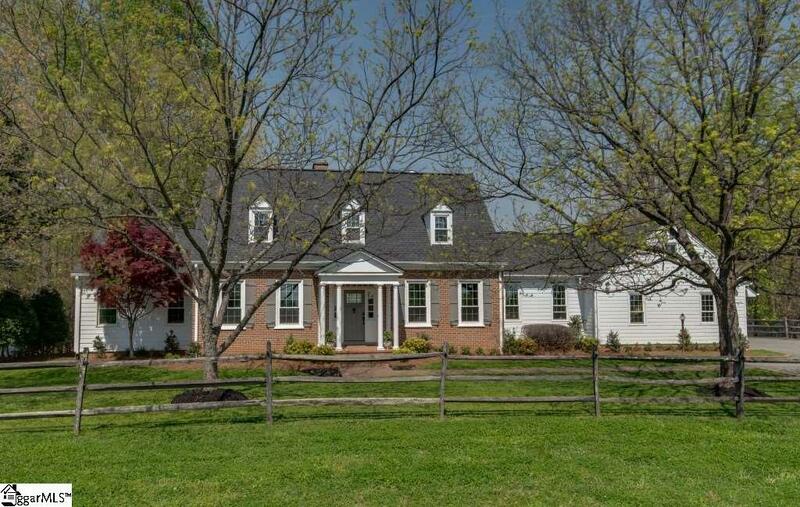 Hidden Hill Farm is the finest example of having it all in one property. 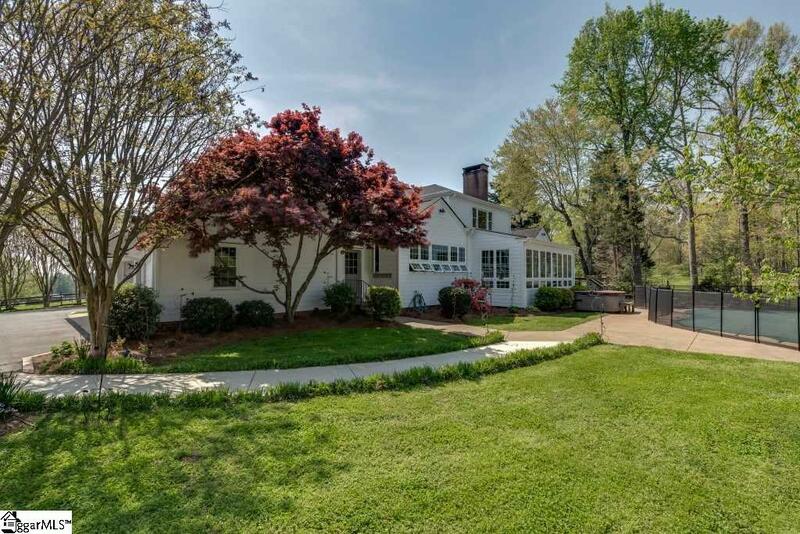 Listing provided courtesy of Bonnie Lingerfelt of Re/Max Advantage Realty.